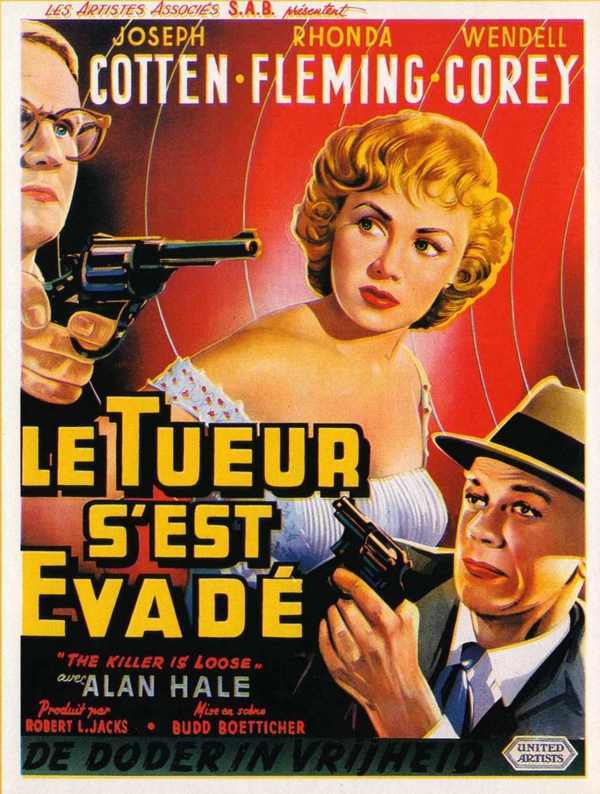 Tonight’s feature is, THE KILLER IS LOOSE, starring Joseph Cotten, Rhonda Fleming, and Alan Hale. Bonus — great shots of L.A. Upon encountering Leon Poole in his current position as bank loan manager, Otto Flanders recognizes him as the corporal from his war unit whom he used to call “Foggy” because of Poole’s bumbling mannerisms. Poole, who is not pleased to see his old sergeant, is distracted by a robbery taking place at the back of the bank. When the thief pulls a gun and runs out the front door, Poole tries to stop him and is knocked out. 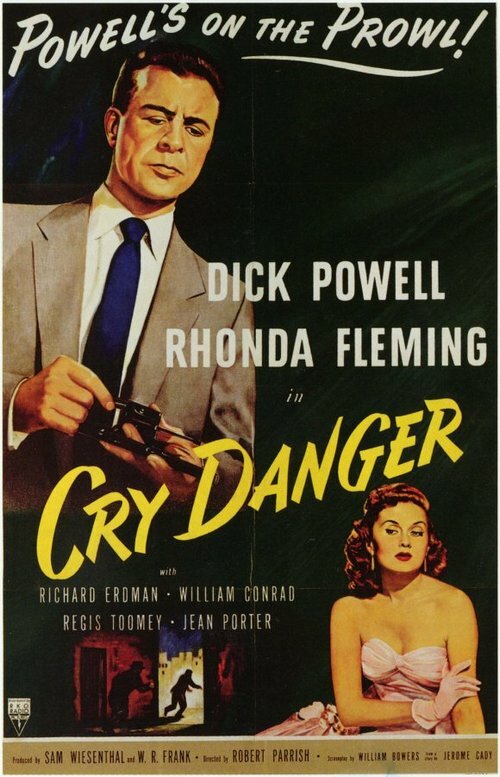 While Flanders is questioned by detective Sam Wagner and his partner, Chris Gillespie at the police station, he now praises Poole’s courage. Later, Sam, Chris and Sgt. “Denny” Denning monitor a wiretap, on which they hear the robber calling his accomplice. They trace the call to Poole’s apartment and attempt to enter. Poole has barricaded the door, however, and shoots at them, prompting Sam to break down the door and enter shooting. When Mrs. Poole steps out, Sam, and who had been told she was not in the apartment, accidentally kills her, and Poole cradles his beloved wife in his arms. Things go psycho from there as Poole, aka Froggy, plots his revenge.